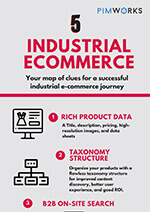 Learn the essentials to make you industrial e-commerce business rewarding. Product data defines your conversion rates. For a B2B business, the need to keep product information flawless is more significant. Take a look at the essential ingredients needed for your industrial e-commerce business to be more successful.